Janaki, Pascal and Lola went on what Janaki described as the best trip of her life. But she didn't have to say a word for me to know it. How she felt was obvious from the smile on her face , as she stood in the middle of piles on top of piles of wool goods in her living room. 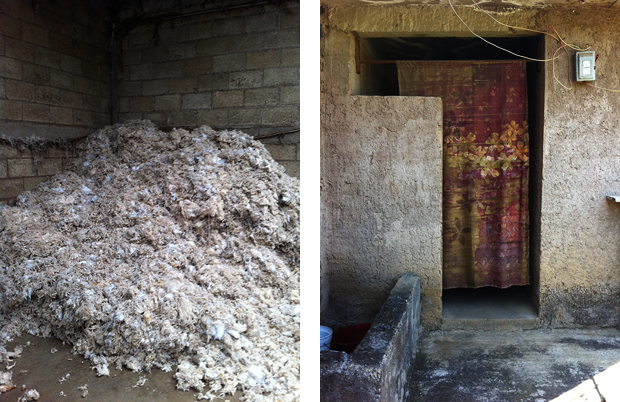 About a month ago Janaki was tipped off about a town in the central mountainous region of Mexico, which specialized in the manufacturing of various wool items. It took all but two weeks for her to plan the trip out there to see the wool promised land for herself. 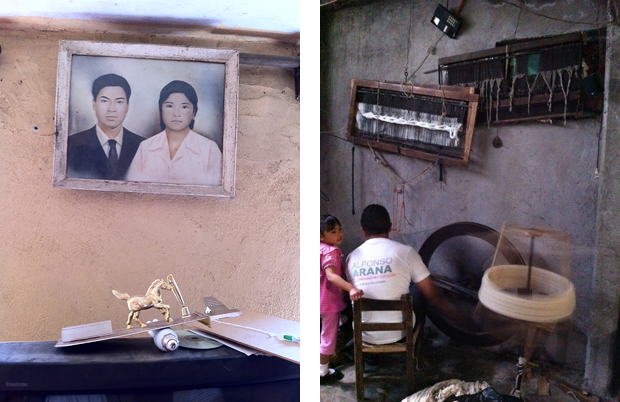 On the trip, the whole family were treated to a once in a life time experience getting to visit the shops and meet artisans behind the products. A, curiously, male driven industry Janaki discovered. 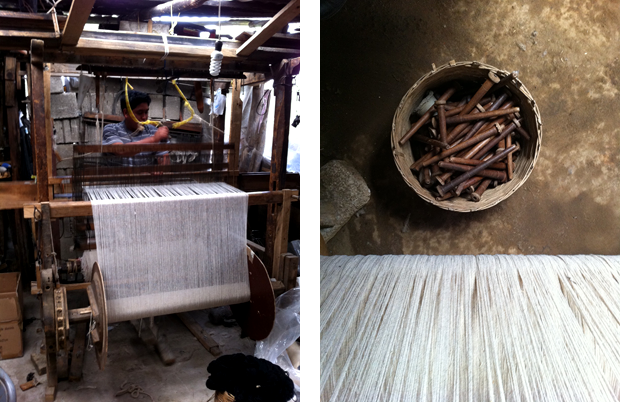 The most depressing part of Janaki's trip was finding out how close to extinction the trade is becoming; fifty years ago at 5 O'clock in the morning the town would be buzzing with a symphony of looms. 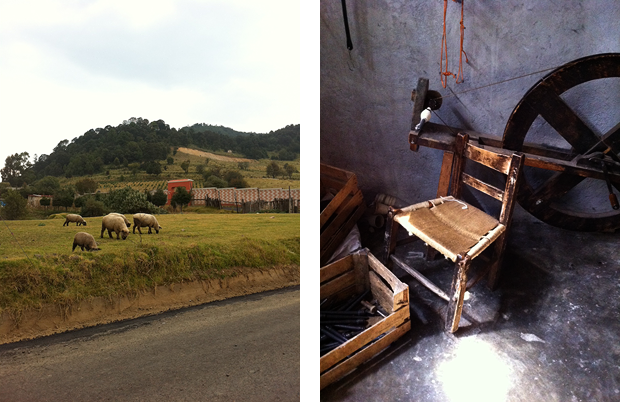 At the time of their visit, there were only nine people keeping the traditional wool making alive. This largely because the work on 100 year old colonial looms is labour intensive and competing fabrics imported from China are now widely available at significantly lower prices. The material and craft, Janaki tells me "are not respected"; "It'll comeback" quickly added an optimistic Pascal. In some cases, Marché St. George bought out an entire years worth of production from certain artisans whose methods take an entire week to produce a single garment. This field trip to Mexico was undeniably one of the most eye opening voyages the Larsen/Roy has been on, and they have not come back empty handed. A plethora of goods from a small and dying industry are now available in Vancouver at our shop. Unfortunately, some of the items, for aforementioned reasons, come in an extremely limited supply.